How Can I Change The Style Of The Font On The Form? If you would like to make any modifications to your form such as font style, background color or even modifying your text box appears, you can take advantage of our wide customization options available within our Form Designer. If you would like to modify the font of your form please follow the screenshots below. 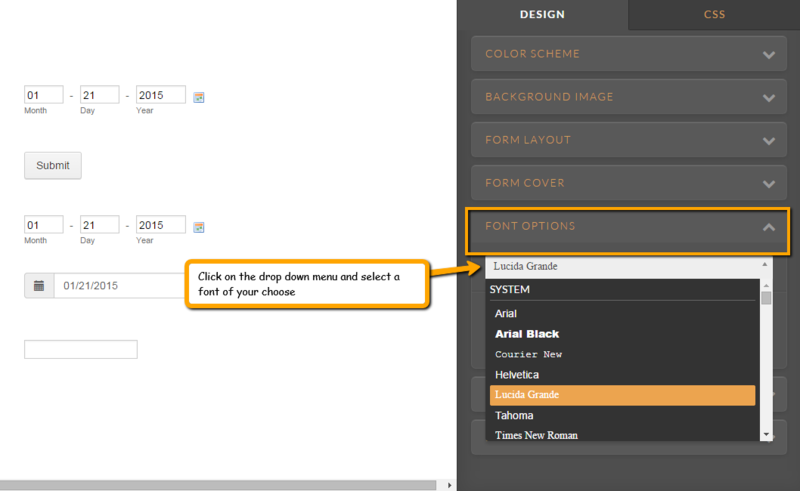 While in the Form Designer interface scroll down to Font Options tab (on the right) and select a font of your choice. Feel free to contact us if further support is needed.